(b) the outstanding electricity charges should be sought against the Joint Management Body established on 20.11.2011. The Respondent refers to Sections 10(3), 10(4), 15(1), 16, 21 Strata Management Act 2013 and argued that all monies in the maintenance account shall not form part of the property of a developer and the demand ought to be sought against the Joint Management Body. The Respondent also further argues that the alleged debt is post winding up and ought not be admitted. The Judge agreed that the effective date for the purposes of determining the debt or liability of an insolvent company in liquidation is up to the date of the order of winding up ie 5.9.2016. 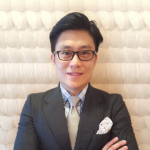 (by referring to Sections 13(2) and 15(1) Strata Management Act 2013 and Perangin Mall v Tang Joo Ming  6 MLJ 753) and ordered a transfer or handing over of the electricity account from the Developer to the JMB. The decision of the High Court has the effect of transferring liabilities from the developer to a JMB. This certainly will not go well with the JMB knowing that it needs to absorb liabilities upon the day of formation. s 15(1) Strata Management Act 2013 only deals with transferring of “all balances of moneys” and “assets” and not “liabilities”. s. 16(2) Strata Management Act 2013 also confines to “any right, power or remedy granted to the developer” shall vest in the joint management body and not “liabilities”. The only provision which deals with transferring of “liabilities”is Section 27(2)(b)(iii) Strata Management Act 2013 where it expressly provides that all assets and liabilities of the JMB are, automatically, transferred to and vest in the MC. In the absence of expressly transferring “liabilities” in Section 15(1), it is our view that the JMB should not be taking over the liabilities of the Developer. Verve Suites Mont Kiara Management Corporation v Innab Salil and 20 others (Kuala Lumpur High Court Civil Suit No. WA-22NCVC-461-09/2017) This is one of the . 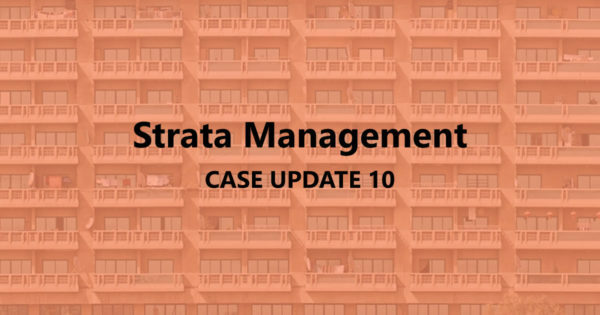 . .
Strata Management Case Updates 10 – Can a JMB apply different rates of charges? Muhamad Nazri Bin Muhamad v JMB Menara Rajawali and Denflow Sdn Bhd  9 CLJ 547 Kuala Lumpur High Court Originating Summons No. WA-24NCVC-186-01/2018 Facts: . . .